Style is gone: Mc Fancy: the Fashion Food! 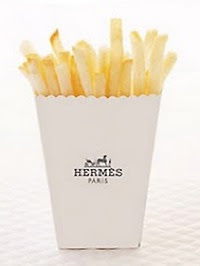 Mc Fancy: the Fashion Food! McFancy is an upmarket temporary McDonald’s store that launches at Fashion Weeks around the globe — London, New York, Paris, Milan, Sydney, Hong Kong. McFancy is part art installation, gathering spot and, of course, a restaurant that offers a traditional McDonald’s menu but packaged in a way that makes a playful yet stylish nod to the lifestyle of the highly desirable, influential consumers that attend Fashion Weeks. 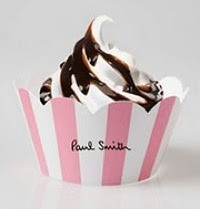 Waiters in tuxedos, silver service, private dining areas, and packaging co-created with the fashion brands that present at Fashion Week — Burberry burgers, Chanel fries on black packaging, Paul Smith Sundaes…A bit of fun among the serious business of fashion. A bite of comfort food among all the elaborate cocktail fare.